Lawyer Says Strauss-Kahn Didn't Know Women At Orgies Were Prostitutes : The Two-Way Former International Monetary Fund managing director Dominique Strauss-Kahn, who faced a sexual assault charge in New York City last year — a charge that was dropped — is being questioned about an alleged multinational prostitution ring. 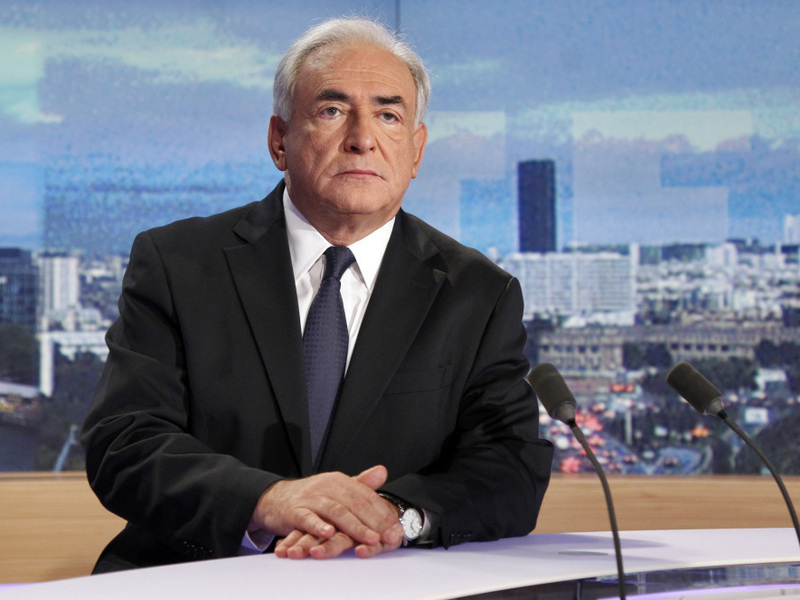 Dominique Strauss-Kahn in the studio of the French TV network TF1. Former International Monetary Fund managing director Dominique Strauss-Kahn, who famously faced a sexual assault charge in New York City last year — a charge that was later dropped — is now being questioned by police in France about whether he was a customer of an alleged multinational prostitution ring. His attorney, though, says Strauss-Kahn has a defense. From Paris, correspondent Eleanor Beardsley tells our Newscast Desk that Strauss-Kahn allegedly attended "libertine evenings" at hotels in Paris, Washington and New York City.